From where do characters emerge? he character Ella Jane McFarland began to take shape as I considered Mama, my maternal grandmother, who never drove an automobile or voted, never joined a woman’s club or spoke publicly, and never progressed beyond third grade. How different might the kaleidoscope of Mama’s life have appeared with a single twist in one direction or the other? 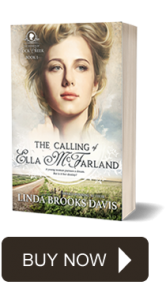 The character Ella McFarland emerged from this essential question. 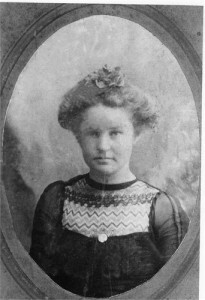 Born Ella Jane Pyle in Cooke County, Texas in 1886, Mama grew up a farmer-shopkeeper’s daughter in Indian Territory prior to Oklahoma statehood. Mama married Papa, my grandfather—William Tribble Banks—in 1904 Indian Territory. By 1922 she had borne seven daughters and buried four, as well as Papa. 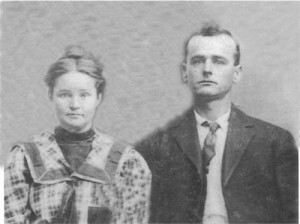 Mama possessed a will of iron and a rock-solid faith that ultimately withstood the deaths of two husbands and five children. 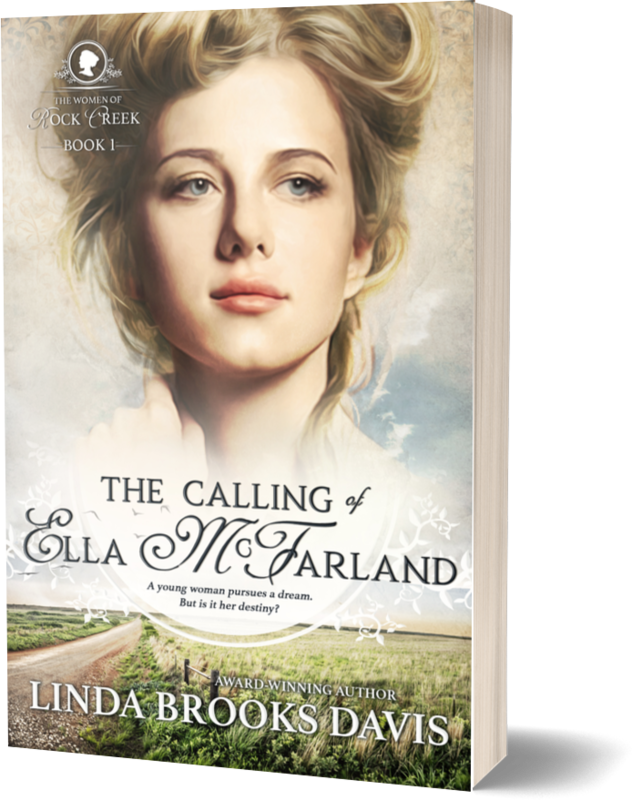 She experienced destitution few have known, yet she left a name worthy of a great-great granddaughter and the heroine of a novel written by her granddaughter: The Calling of Ella McFarland. Unlike many women today, Mama never leaned back in a massage chair for a manicure/pedicure, but she picked 100 pounds of cotton a day. She never shopped at a mall, but she cleared land for farming for $8 an acre and sewed up a dress in a matter of hours. She never considered the merits of granite countertops over tile or real wood floors over laminate, but she made a home out of a corner in a barn. She used a broom on the dirt floor. 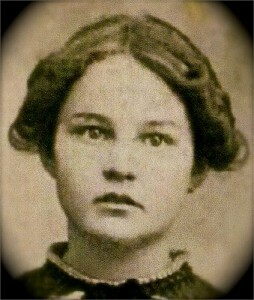 Ella Jane Pyle Banks Anderson Knox was “Mama” to me. Although far different in superficial ways, the real Ella Pyle and the imaginary Ella McFarland are much alike fundamentally. 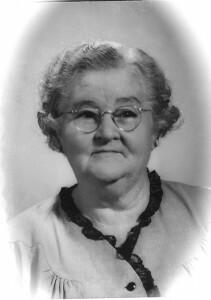 Soft-spoken Mama never drove a car, but she handled a team of mules pulling a covered wagon from Oklahoma to the extreme southern tip of Texas in 1923. (Roadways are a sight better today.) Both are women of single-minded devotion to their families who overcome hardship through faith in Almighty God and pure grit. 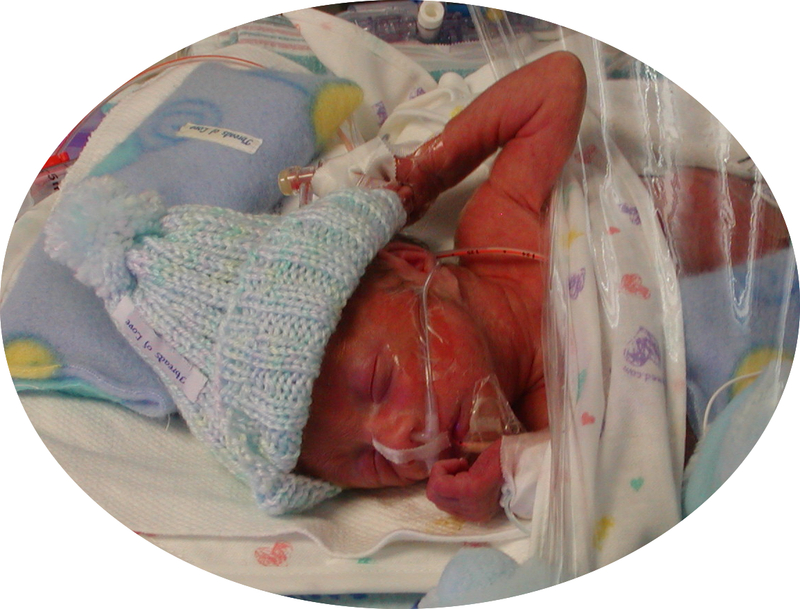 Both women’s lives testify to the hope and healing found outside themselves—in Jesus Christ. A goodly portion of Ella McFarland is Ella Pyle, but a full ¼ of me is Mama. For that I’m thankful. I can’t express how awed I am by your writings. I love the old and the new and how you meld them. I’m amazed by the details you remember. I remember things about my family, but compared to your writings, I know very very little, including my own mother’s life before me. Daddy wrote an autobiography, so I know about his. Now that I’m in a new chapter in my life, I’ve wished so often I knew more, had asked more, had journaled more. You are so talented. I’m so glad I know you. Oh my, how you encourage me! Thank you. You have a gift for writing along with photography. Pursue it.